Gather 'round the jack-o'-lantern, friends. It's that time of year again, and your feeds, be they on Pinterest, Instagram, Facebook, or elsewhere, are predictably swarmed with last-minute tricks and tips on how to choose the most impressive Halloween costume that's simultaneously thought-provoking and nonchalantly cool. If you've yet to land on a genius getup for October 31 (or even if you have), allow us to stop you in your tracks because we, too, have an idea for an impressive, thought-provoking, and nonchalantly-cool costume. Rather than wearing your run-of-the-mill look (e.g., feisty feline, red dress emoji lady, what have you), why not consider dressing up as a badass woman from present or past? Whatever your political ideology, it's fair to say it's an interesting and mighty challenging time to be a woman. So consider putting down the whiskers and cat ears and reaching for a robe reminiscent of Notorious RBG, perhaps a mesh outfit nodding to Nina Simone, or maybe even a pair of goggles à la Amelia Earhart, and let the compliments and quality conversation roll on in! Below, we've curated eight Halloween costume ideas inspired by iconic women that are not only easy to pull off but are likely to inspire your inner activist. Who knows? It's Halloween—anything could happen. You know the drill. 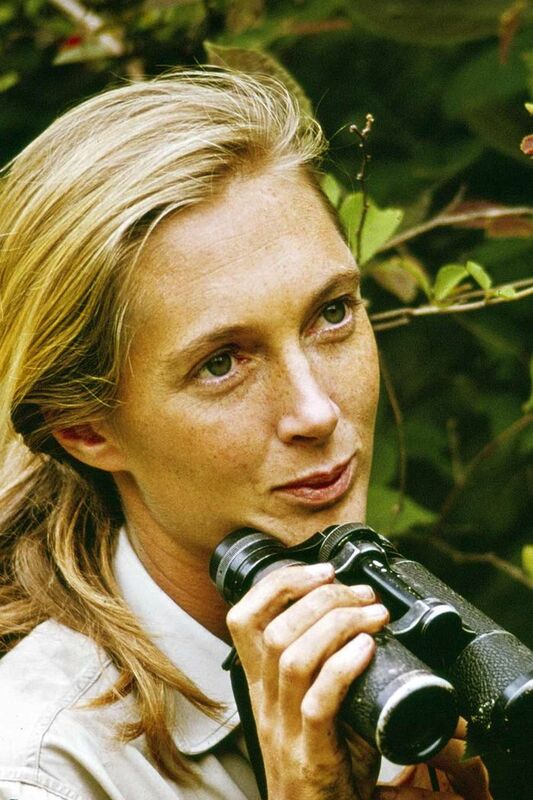 Environmentalism, conservation, khakis, binoculars—you've got this. Want to feel powerful exceptionally quick? Try embodying this 85-year-old Supreme Court Justice, who probably has a better fitness regimen than you do. In her 25 years in the position, the Notorious RBG has relentlessly advocated for women's rights and gender equality. Nothing says "I'm a strong, adventurous, independent woman who doesn't need your permission" better than dressing up as the first female aviator to fly across the Atlantic Ocean solo. Dancer, poet, activist, singer, and all-around perfect human, Maya Angelou is the epitome of an empowering role model. We propose carrying a few of her poems around with you on Halloween, should the mood to perform them strike. Ed. note: Head wraps hold a very special, very complicated place in African American culture, so if you don't identify as part of that community, we'd recommend erring on the side of respect and tying your printed scarf in a slightly different way—as a headband is a good option. Burn your bra (or don't—you're a feminist and can do as you please) and grab the closest rib-knit turtleneck and pair of aviator glasses for a Steinem-inspired look. At 84 years old, this wildly cool activist continues to advocate for important issues like gender equality, civil liberties, reproductive rights, and beyond. She's also on Instagram, BTW. Pantsuit nation. Need we say more? Where do we begin? Aside from being an all-around muse, Didion shone a light (in many ways, for the first time) on issues that defined the zeitgeist of the 1960s and 1970s. She also wrote a collection of political essays that encapsulated the election processes from around 1989 to the early 2000s, and was awarded the National Humanities Medal by Barack Obama. We're big fans. Anyone who's seen the 2015 documentary What Happened, Miss Simone? knows why she's on our list. This enigmatic, talented piano player, singer, and performer played a pivotal role during the civil rights movement and gave voice to the silenced. Up next: the 15 best cheap Halloween costumes from Amazon.